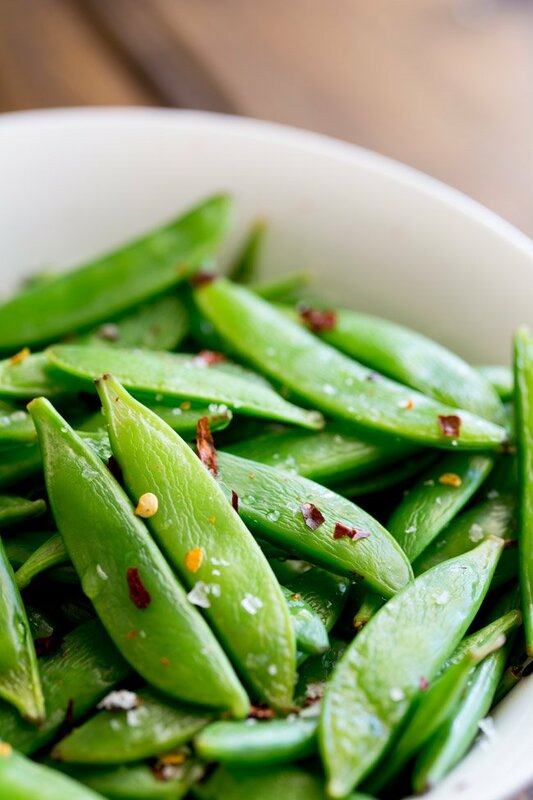 Crisp, sweet sugar snap peas, sautéed to a tender crisp perfection and then sprinkled with chilli flakes and sea salt. A healthy 5 minute side dish! This is an incredibly fast side dish that goes with so many meals. Add it to a grilled chicken dish, next to some asian fish, a perfectly griddled steak, or just serve it as a snack!!!! Within 5 minutes you can have this fresh and healthy side on the table!!! 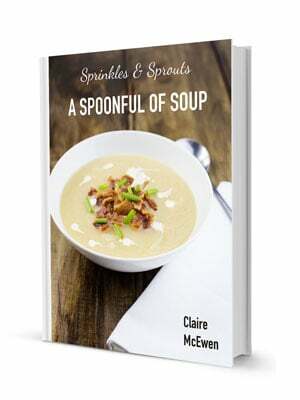 Come on that is a dish that you have to try!!! Sugar Snap Peas are so sweet and crunchy, they need hardly any cooking and as long as you sauté them hot and quick, they keep their wonderful bright green colour! Honestly could these Sautéed Sugar Snap Peas be any more beautiful??? Don’t these Sautéed Sugar Snap Peas look so bright and delicious? Oh and healthy too! To be super healthy you can steam the sugar snap peas, but I find the added toasty flavour you get from sautéing them is worth the few extra calories in the oil! Go on! 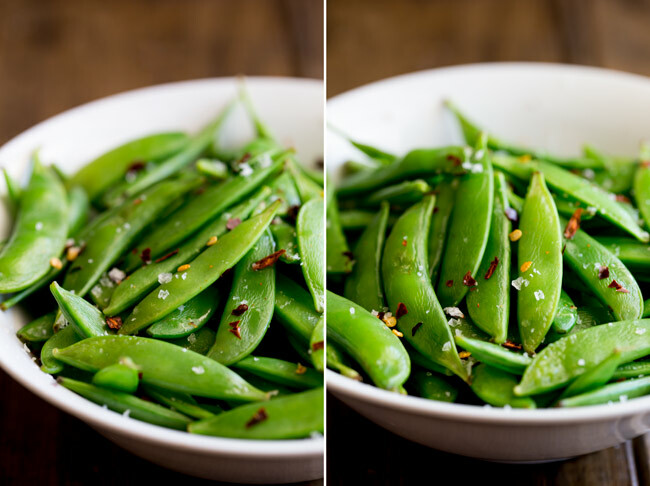 Make these Sautéed Sugar Snap Peas today. 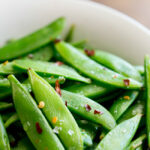 If you love this recipe for Sautéed Sugar Snap Peas with Chilli Salt why not pin it for later. Remove the stem end and the string from each sugar snap. Place a cast iron fry pan over a medium high heat and let it get hot. Add the oil and then toss in the sugar snap peas sauté for 3 minutes, until the sugar snap peas are slightly tender and with a small amount of colour. 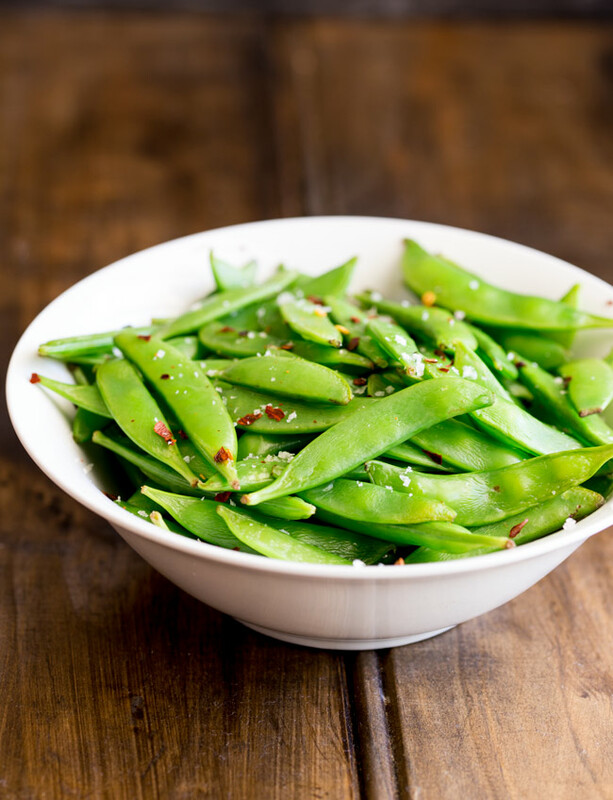 Place the sugar snap peas in a serving bowl and sprinkle with the salt and chilli flakes. If you love food why not subscribe to my newsletter, I will drop you an email every now and then, just to say hi and send you a couple of recipes think you might love, like these Sugar Snap Peas with Chilli Salt. Hi Claire. Sugar snaps are one of my favorite vegetables. We have grown them in garden in the past and I think some will definitely have to go in this year. I like simple cooking methods for vegetables so that the full flavor is retained. My female dog likes to go out into the garden and “pick” her own green beans and peas; she’s very careful and does not harm the plants, just bites off the veg. Your dog is a genius!! Lulu would have dug the whole thing up and then dragged it into my living room!! !